Size (W X L): 63 x 29 in. / 159 x 73 cm. Weight: 7.5 oz. / 212 gm. The Vision represents a breakthrough in entry-level delta wings. 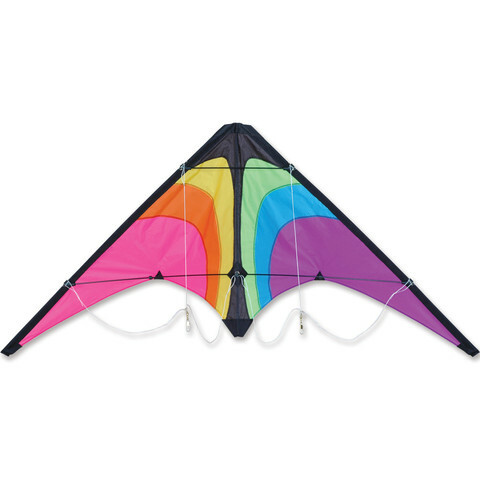 Months of testing and planning by master sport kite designer Jon Trennepohl has produced an easy-to-fly stunt kite with excellent handling and crisp contemporary graphics.